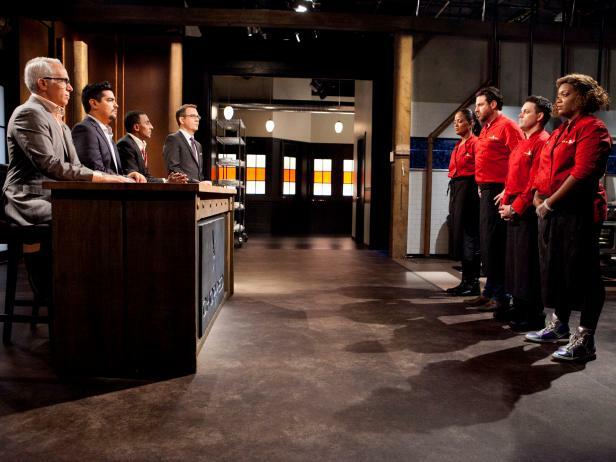 All-Star Chefs: Laila Ali, Scott Conant, Gavin Kaysen and Sunny Anderson stand before host Ted Allen and Judges: Geoffrey Zakarian, Aaron Sanchez and Marcus Samuelsson after finishing their appetizers that must include: soft shell crab, sake, chunky peanut butter and sea beans,as seen on Food Network's Chopped All-Stars, Season 14. Earlier on FN Dish, we broke down the final round of All-Stars, including an interview with the runner-up (spoiler alert). If you missed the show and recorded it, don’t read any further — FN Dish is about to break down the episode and chat with the grand champion. All-Star Chef Scott Conant working on his appetizer that must include: soft shell crab, sake, chunky peanut butter and sea beans,as seen on Food Network's Chopped All-Stars, Season 14. 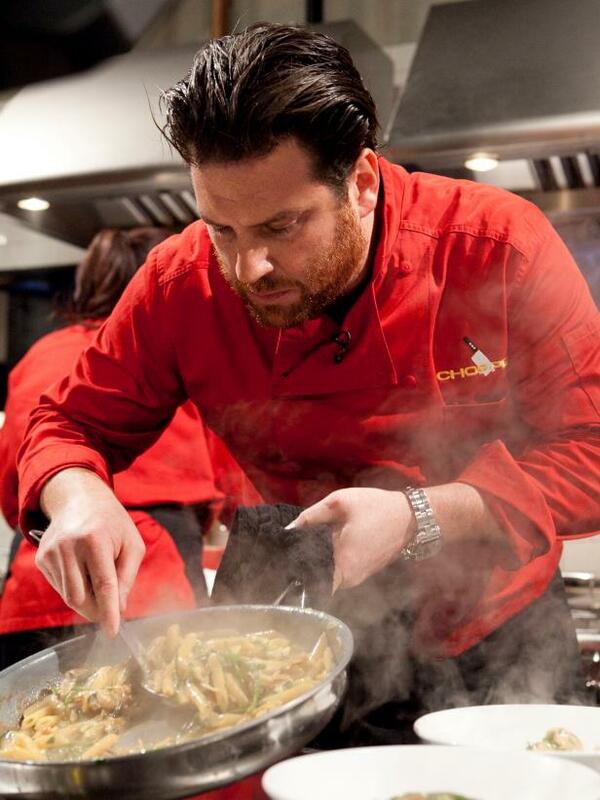 Scott Conant is the Season 3 Chopped All-Stars Champion! The Chopped judge and Scarpetta chef/owner admitted he was hesitant to put himself at the mercy of the Chopping Block, but after two seasons of watching his fellow judges in the ring, he went for it and prevailed. The road wasn’t easy. 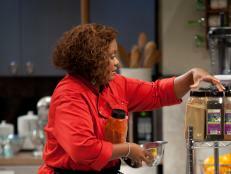 Scott bested his pals Marc Murphy, Alex Guarnaschelli and Amanda Freitag in a heated judges’ round; then he moved on to face fierce celebrity home cook Laila Ali, Food Network mainstay Sunny Anderson and Bocuse d’Or prodigy Gavin Kaysen in the finale. After his victory, Scott chatted with FN Dish about moving from the judges’ table into the Chopped Kitchen, his charity and who really finally convinced him to compete. 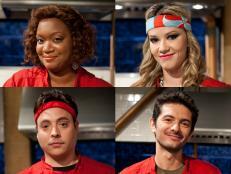 Ted at one point said that your wife convinced you to do Chopped All-Stars. What was her winning argument? SC: Her winning argument was pretty much, 'What are you afraid of?' It’s a challenge and it’s outside my comfort zone. I’m happy I did it, of course. Seeing my daughter and wife out there after I won, I felt especially appreciative. Did you feel confident going into your second battle, having prevailed in the judges' round? 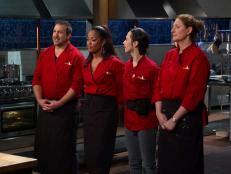 SC: In the appetizer round, I finished that dish in the first round with about eight minutes left. I was feeling really good at that point, thinking to myself: 'I’m ahead of the clock. I have time to go. I’m good.' I was really pleased with that course. The problem was that I burned my tongue early on, so I couldn’t taste. I was driving blind! I had to rely on instinct and touch and feel and sight. I wasn’t sure about the salt content. The good news is that I was able to throw in those sea beans, and those have so much salt that I didn’t have to worry about it that much. Marcus said your first two plates were flawless. He said it was the best-tasting goat he ever had in his life. Safe to say that dessert was your weak point today? SC: Absolutely. I was so upset with that course. It’s not that it was bad; it just wasn’t as nuanced as the other dishes I cooked today. I was upset with myself. I walk away from this thinking about that dessert course and how I could have made it better. Were you still feeling confident after that round, or did you expect to see your dish on the Chopping Block? SC: I was not feeling confident. I expected that, if things were somewhat equal moving into the dessert round, that dessert pushed me over the edge and Gavin would be the last man standing, so to speak. What’s it like to be judged by your peers, your friends? SC: I love those guys. It’s great because I know they were going to be honest with me. If I made a mistake, they were going to say it. I’m really proud that I did them proud, and I'm proud to align myself with such a great organization, Keep Memory Alive — and then on top of it, to be able to pull out the win and bring them a check for $50,000. It’s amazing when things all line up. I feel really blessed.